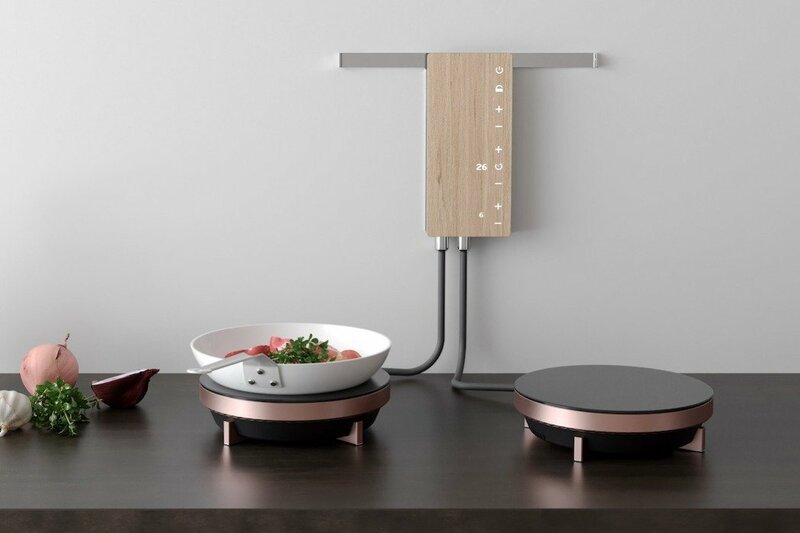 Ordine is an innovative cooking solution designed for the modern user. Optimized for small spaces, the design eliminates the need for a bulky traditional stove, clearing the way for more cabinet and counter space. 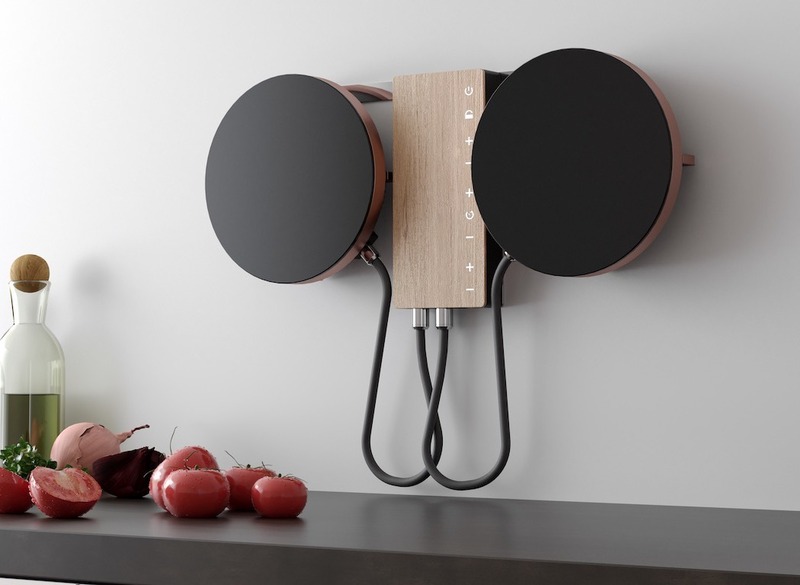 The design features two hob units that are mounted on a central power hub on the wall. Elevated neatly out of the way, the user must simply grab one or both hobs off the wall and set the desired temperature to activate. 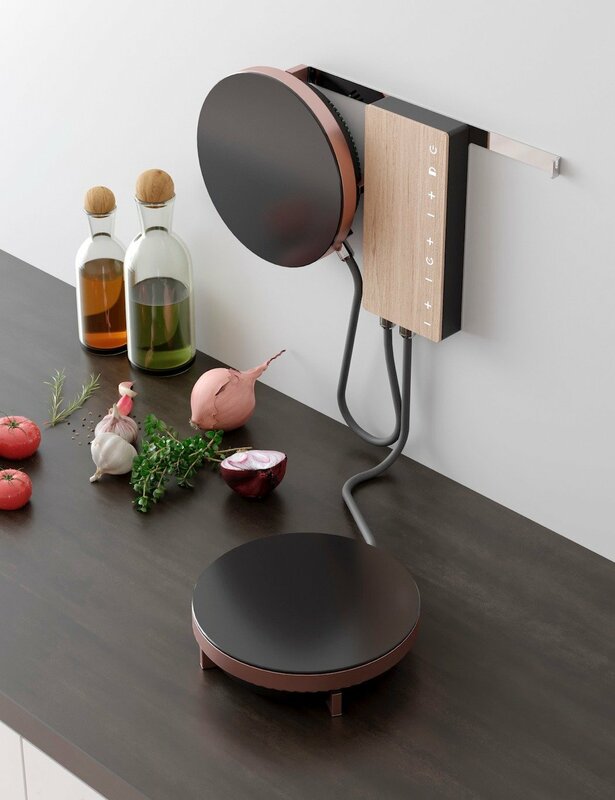 Clad in materials consisting of natural wood and copper, the design not only saves valuable kitchen real estate but is made to complement your interior aesthetic on display.